The Centers for Medicare & Medicaid Services (CMS) is planning to implement a new program to help patients and their loved ones better understand the quality of care delivered by dialysis facilities through a five-star rating system. While the National Kidney Foundation (NKF) appreciates the efforts of CMS, we are disappointed by their announcement on September 10, 2014 that it does not plan to make changes to the Dialysis Five-Star Rating Program before rolling it out. Instead, CMS will delay the program launch from October 2014 to January 2015 in order to engage in a patient education effort about the system. NKF is concerned that CMS is assigning stars in such a way that the ratings may not be a true reflection of the quality of care delivered in dialysis facilities, and thus may be misleading to patients. A three-month delay for a patient education effort will only undermine the Dialysis Five-Star Rating Program by highlighting its limitations rather than strengthening its validity. In addition, the ratings will not address key areas that we know are important to patients. In a NKF survey of over 800 dialysis patients and their family members, 82% of patients selected the attentiveness of the dialysis facility staff as the most important factor in how they judge the quality of care delivered in a facility. 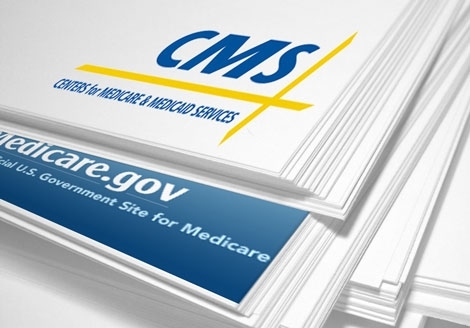 The measures CMS plans to include in the initial roll out of the Dialysis Five-Star Rating Program do not evaluate staff attentiveness. In the same survey, patients also stated they didn’t believe facilities should be compared to one another, but instead evaluated on the individual facility’s performances. CMS has designed the Dialysis Five-Star Rating Program so that facilities are graded on a curve. In an August 21, 2014 letter sent to Dr. Patrick Conway, head of CMS’s quality programs, NKF urged CMS to conduct further analysis on the measures and to incorporate patients’ views of quality before launching the program. “This program can be done right, it just needs more work. We’ve seen other quality improvement successes come out of CMS collaboration with nephrology practitioners and patients, such as the Fistula First Initiative. I have confidence that collaboration on the five-star system will also have successful results,” said Dr. Vassalotti. NKF hopes to work with CMS to establish a rating system for dialysis facilities that will drive improvements in patient outcomes and help patients make informed decisions about where to go to receive quality dialysis care. “The ultimate goal should be that all dialysis facilities in this country deliver five-star care and continuously work to improve the survival and quality of life of patients to the greatest extent possible,” said Dr. Vassalotti. This entry was posted in media, public policy and tagged advocacy, Centers for Medicare & Medicaid, Centers for Medicare & Medicaid Services, CMS, dialysis, healthcare. Bookmark the permalink.